Keltikka is undoubtedly Darwins' Premier Irish Dance School and a firm favourite with Darwinites. 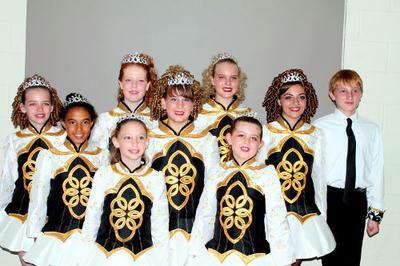 Established in 2006 we have developed quickly into the best place to get quality Irish Dance tuition. With all staff holding Ochre Cards and First Aid certificates, and a Sports Medicine Trainer, you can be assured you are in safe hands. Parents can even stay to watch, unheard of in most dance schools. 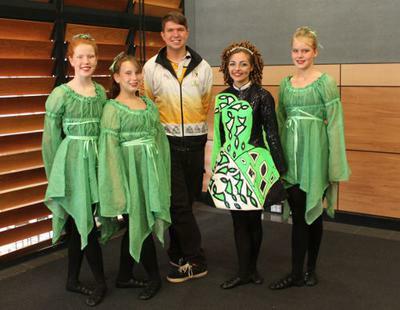 We are the only NT school teaching in line with approved standards of the World Irish Dance Association, and are actually the first Australian school to be admitted to the World Irish Dance Association. We are locally owned and operated. As such we are not an import from other states claiming to be a Northern Territory Irish Dance school. We are able to offer both recreational and competition level classes to children and adults of all ages. Both guys and girls are encouraged to take classes with us. We take dancers from 2years upwards. We have dancers who are four division National Showcase Regional Champions, two World Championship qualifiers and dancers who are Top Five State winners. Once you decide to take Irish Dance Lessons, it is important to choose your school carefully. Attention to the details at the beginning can save you a great deal of time and money down the track. We endeavour to make things as easy as possible with many things being included in your annual Registration, along with discounts for multiple classes. Finding a great school and dance teacher is like hiring any other professional - in order to ensure you're getting the most for your time and money, it pays to do a bit of research. A great dance teacher has several qualities, including experience, passion and dedication. What sets apart a good school from a great school is their great facilities, encouraging teaching manner, manageable class sizes, individualized attention and the friendly welcoming environment that dancers thrive in. We also take the NT School Sports Vouchers. At Keltikka we have small class sizes with dedicated teachers to maximize the dancers experience in a friendly, fun, air-conditioned environment. 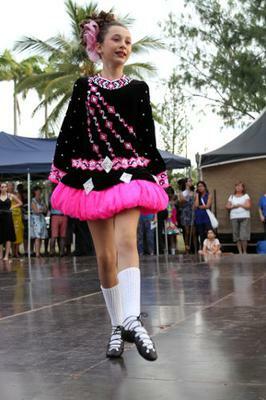 We are sure that we can give you and your dancer the best experience possible in Irish Dance in the Northern Territory. With a range of classes available for both the recreational dancer and the more serious competition dancer, their current location isin the theatre of Darwin Communuty Ars in Malak shopping centre. It is convenient for most people in Darwin to get to. Dancers can choose to attend classes on Thursday evenings and Sundays. Even private or semi-private lessons can be negotiated. Starting Irish Dance lessons is exciting for children as well as parents. Irish Dance is a wonderful activity for children of all ages. It is capable of teaching a child confidence, poise and grace, increasing mental alertness, and how to be a good sport. Fun and fitness in the one activity. A child introduced to dance at an early age will likely develop a love of the arts and a passion for rhythm and movement. They will develop fantastic confidence and stage presence, which will take them far in life. Most importantly, dancing is lots of fun, & a great place to make lifelong friends! All our dancers have the opportunity to perform on stage at events ranging from school fetes corporate events and of course ST PATRICKS DAY! Dancers as young as four have taken to the stage this year, and after only a few short weeks of classes. Official Sign On Day is Australia Day weekend every year. Check our website for full details . Just look on our website for the Google Map and you should be able to get directions right from your house! Feel free to call us today to find out more about what we do, and how to become a part of our family! My daughters started with Keltikka in 2013. The school has done so much more than teach Irish dance, it has become a second family for the girls. With both girls having special needs, the love and support given by all the staff and members of Keltikka has allowed them to grow as people as much as they have improved as dancers.